Cappadocia has one of the most interesting and spectacular landscapes in the world. About three million years ago the volcanoes of Mt. Erciyes and Mt. Hasan covered the surrounding plateau with volcanic tuff as a result of their violent eruptions. The natural effects of wind, water and rain eroded this area into a spectacular, surrealist landscape of rock caves, capped pinnacles and fretted ravines in colors ranging from warm tones of red and gold to cool tones of green and gray. Dating back to 4000 BC; the earliest people used to live in Goreme, known as Cappadocia, in dwellings dug into the rock. Christianity came to the region, and chapels, churches and monasteries were constructed in the rocks. At Derinkuyu, Mazi and Kaymakli, cities were developed underground in order for the inhabitants to hide from raiders. There is another underground city -Ozkonak- which is also open to the public. They are really amazing to visit, and give a sense of the way people must have felt while living underground. Urgup, 20 kms east of Nevsehir, is a lively tourist center and has all the characteristics of the region. Besides this, it is the center of a wine producing region and every year in October an International Wine Festival is held. It is an excellent place to stay to tour the sights in daytime and to find amusement in discos and bars at night. In Urgup you can see how people once lived in houses carved into the rock along the narrow streets. This is a good place for buying carpets and kilims, as many varieties are offered. Pancarlik Valley, the Mustafapasa (Sinassos) and Cemil villages, with their traditional stone houses, the Taskinpasa and Sahinefendi villages where the 2th century Kirksehitler Church is located, and the Devrent and Catalkaya Valleys are famous for their fairy chimneys. The old city of Avanos overlook is the longest river 18 km in north of Nevsehir, the ancient name of this city used to be Venessa. The most famous historical feature of Avanos, which is still relevant and very visible today, is its production of earthenware pottery. 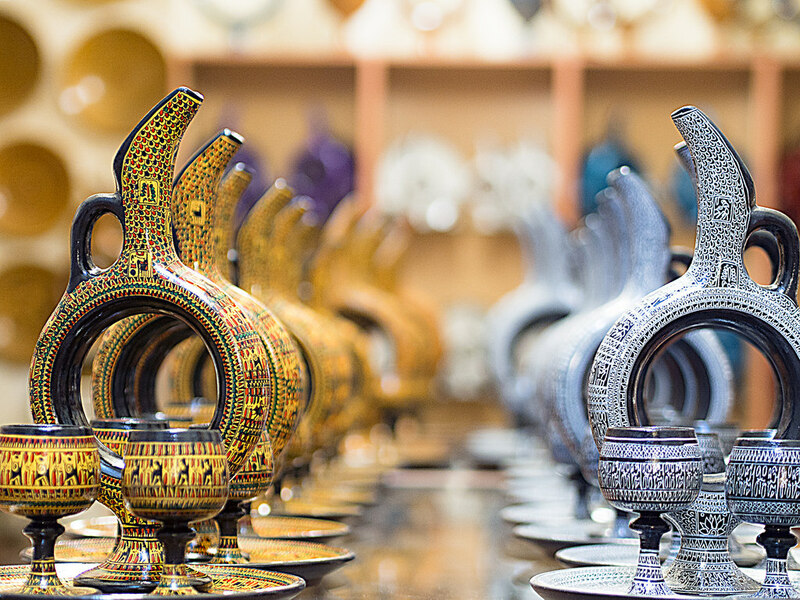 The hand-made ceramic trade in this district and its countless pottery factories date right back to the Hittites, and the in Turkey, the Kizilirmak (Red River), which also separates it from the rest of Cappadocia. Located ceramic clay from the red silt of the Kizilirmak has always been used. 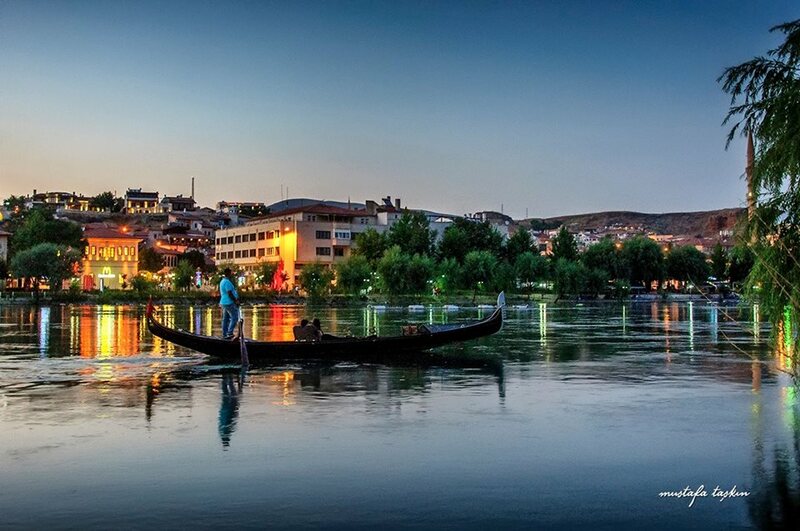 It is a popular destination because of its attractive old town with cobbled streets, and superb views over the river. Goreme Open Air Museum, 8 km northwest of Urgup, is a monastic complex of rock churches and chapels decorated with frescoes. The churches of Elmali, St. Basil, St. Barbara, Yilanli, Karanlik, Carikli, and Tokali are of particular interest and their frescoes are very well preserved. Many pilgrims still visit the churches. The cities of Goreme and Uchisar provide a bewitching scenery of cones and chimney formations. Uchisar Fortress is the highest point and the view from its top is enchanting. In Cavusin you will find the monastery of St. John the Baptist. The attractive town of Avanos is famous for its handicrafts, especially pottery, and you may try this craft yourself in one of the many studios. Soganli has a picturesque beauty with dozens of chapels, churches, halls and tombs. The Byzantine development of fresco art can be observed from the 8th to the 13th centuries in Soganli. The town of Ortahisar is carved out of rock. 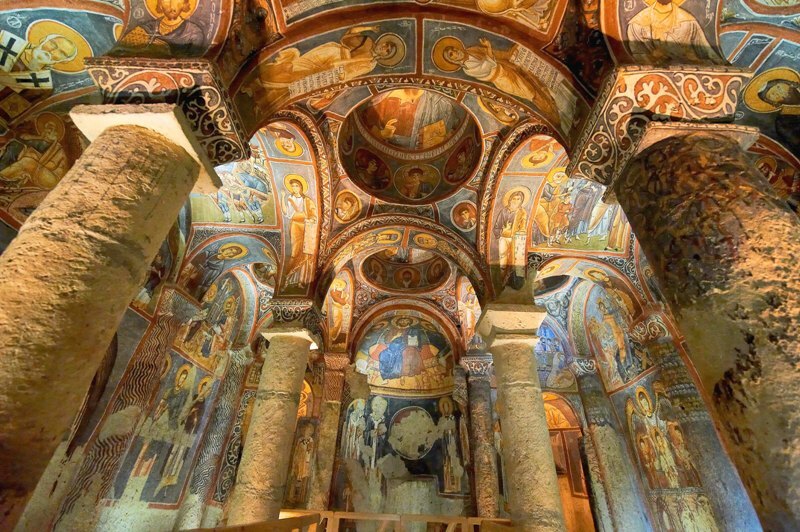 The churches in the Balkan Valley are some of the oldest. Kizilcukur Valley is strikingly beautiful during sunset. You should not miss that marvelous picture. Cappadocia is a land which seems to be a fantasy. Words are useless to describe the beauty and charm of the region; you must experience it for yourself, hot-air baloon tours, trekking tours, horseback riding tours, and other fascinating activities. It will certainly take a particular place in your memories and in your photograph album. GPECOM2019 conference will be held at Perissia Hotel & Convention Center that provides the largest, most modern congress and meeting facility in Cappadocia. It offers an integrated Convention Center that is adjacent to the hotel yet connected for easy access. Perissia guests will experience a chance to visit Cappadocia as well as attending to conference in a center that meets all types of requirements. Moreover; Perissia provides quality catering services by a dedicated team, meeting in one or all of the 10 multifunctional rooms that are equipped with modern audio-visual equipments.